A shocking event leaves fifteen year old Amelia Waters devastated, especially when she’s forced to stay with her mysterious aunt Leona and two cousins. They completely dominate her life and force her to move away from her home in Stillwater, Oklahoma to Columbia, MO. The moment she reluctantly settles into a toxic reality, she becomes bombarded with nightmares about the past that reveal something she could have never prepared for. 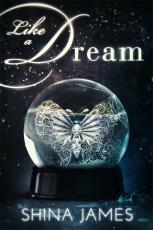 With her back against the wall and no way out, Amelia begins to struggle with the will to live, until Aaron—a mesmerizing boy from her dream, becomes a reality. Every nerve in her body gravitates to him as they both fall deeply in love.